Are medications the cause of your muscle pain, dizziness, low energy, confusion, broken femur, allergy, anxiety, depression, type 2 diabetes, etc? For example in the United States about 21 million patients are prescribed statins such as Lipitor, Zocor, Crestor, Vytorin to lower to lower their LDL (low density lipoprotein) cholesterol. Most likely the statins will not reduce your risk of death from coronary heart disease especially if you are taking it for prevention. Instead, the statins often cause muscle pain and weakness, as well as cognitive confusion and forgetfulness. You would then begin to take pain medications to treat the muscle pain and the escalating cycle has begun. Whatever the medications you are taking, be skeptical of the health claims and investigate whether the benefits outweigh the risks. In many cases the research data suggests that the harm, especially in long term use, may outweigh the benefits. 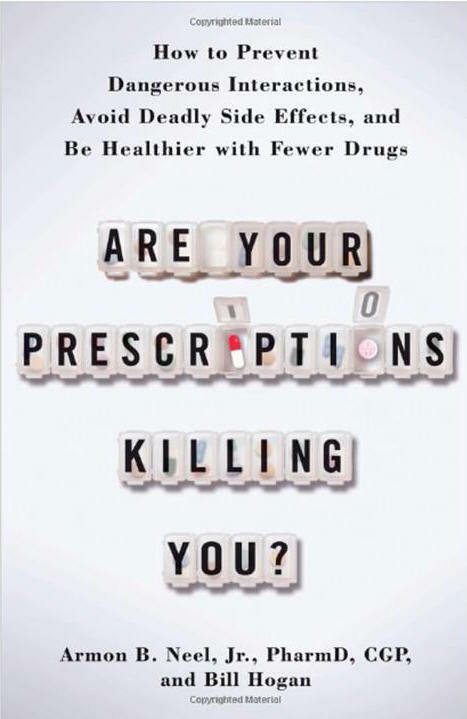 If you are taking medications or are being prescribed to take medications, first read Are Your Prescriptions Killing You? by Armon Neel and Bill Hogan. You may become healthier with fewer drugs. Interesting post. This morning I just shared a link via Twitter to a Mayo Clinic post about lowering blood pressure without medication. http://mayocl.in/OyxSOu Simple lifestyle changes can make a dramatic difference in our health and should always be explored first! Thanks for sharing great information on the peper perspective.